From an award-winning cardiologist comes the most up-to-date, definitive reference book about statins—cholesterol-lowering drugs—providing a thorough examination of the uses and safety claims of this high-profile class of drugs. COULD STATIN DRUGS ACTUALLY HARM YOU? It is time to take charge of your heart health. Learn the facts behind the hype so that you can make informed decisions on a subject vital to your continued health. 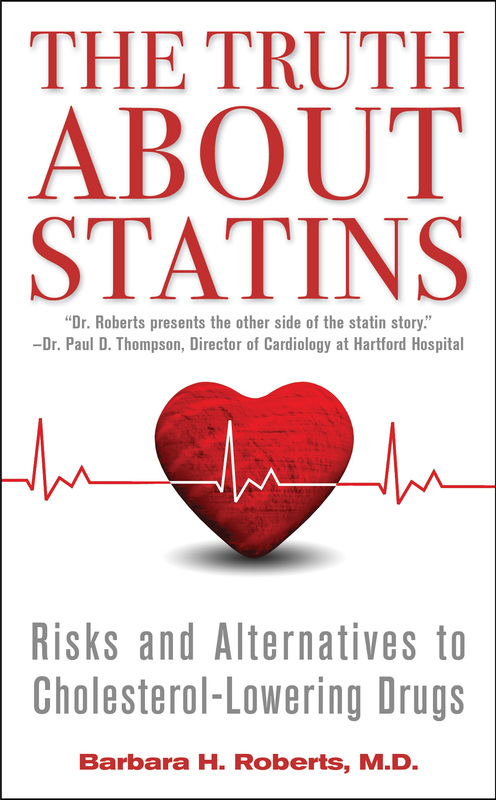 If you or someone you love either takes a statin or is considering doing so, you need to read this book. Includes recipes for a delicious and heart-healthy diet, including Wasabi-Roasted Salmon, Pasta with Avocado Sauce, and Lemon-Pineapple Breakfast Muffins. Statin medicines to lower cholesterol were approved in the United States in 1987. Over the last few decades, I have been prescribing statins for my patients when it was indicated, and, initially, these medicines seemed safe and reasonably well tolerated. But the more I have learned about statins, both from the experiences of my own patients and in the medical literature, the more concerned I have become. As more and more people have taken statins, there have been more and more reports of serious and sometimes fatal side effects. Now that statin use has accelerated, I feel compelled to share the results of my research into this powerful class of medicines. By educating readers about the facts behind the supposed miracle cure, I hope to encourage you to speak freely with your medical practitioners and to make informed decisions about preserving your heart’s health. Every day, in my practice as director of the Women’s Cardiac Center at the Miriam Hospital in Providence, Rhode Island, I see patients who cannot tolerate statins. Some of them complain about muscle aches and weakness, or tendonitis, while others struggle with frightening memory loss and difficulty concentrating. These side effects may not be as rare as we’ve been led to believe. In fact, my husband developed severe muscle pain from every statin on the market. He was started on statins after a trip we took to Italy in 1995, when he more or less overdosed on prosciutto di Parma. He came home to a total cholesterol count of over 300. His primary care doctor prescribed various statins over the years, but his muscle aches interfered with his ability to run and lift weights, which he loves to do. Finally, he went on the seafood-vegetarian Mediterranean diet that I describe in this book. His cholesterol levels, from this diet and a nonstatin medicine that blocks the absorption of cholesterol, are now satisfactory. Some people can take statins and not develop side effects. But how necessary are statins in the first place? Do they really help prevent strokes and heart attacks? Nowadays, doctors are advised to knock down their patients’ cholesterol to very low levels with high doses of statins. But cholesterol, far from being the villain it’s said to be, is a vital part of every cell in our bodies. This waxy fat, produced primarily by the liver, is absolutely crucial for the normal functioning of muscles, nerve cells, and the brain—and it’s also the building block that our bodies use to manufacture many hormones, including the reproductive hormones estrogen and testosterone. How will our muscles, brain cells, and nerves react if they are chronically starved of a chemical that is so necessary for their proper functioning? These and other important questions about statins need unbiased, scientifically valid answers. Why do women seem to derive less benefit from statins than men do? Why do women report more side effects from statins? What questions should you ask your doctor if he/she wants you to take a statin? How solid is the science that is used to justify treating people with statins? What is now at stake for the pharmaceutical industry (Big Pharma), the US Food and Drug Administration (FDA), the medical profession, and, most important, the people who take statins? In researching these issues, I pored over the studies that were used to justify treating people with statins. I spoke to my own patients who’d experienced side effects from the drugs, and to other people who’d heard of my interest in statin side effects and contacted me. I educated myself on the interactions among Big Pharma, the FDA, and the medical profession. The FDA is responsible for reviewing and approving any new prescription drugs that pharmaceutical companies want to sell to the American public. When this approval process is complete, the government agency spells out the specific reasons (indications) why doctors may prescribe the drug. The drug label must describe the approved reasons to use the medicine, along with the conditions under which the medicine should not be used (contraindications). For example, taking statins is contraindicated in pregnancy because these drugs can cause defects in a developing fetus. The FDA not only certifies all new prescription drugs but also must approve any new use of existing drugs. However, once the FDA approves a drug, physicians can prescribe it for anything they choose. Unapproved indications are called off-label uses of a drug. Doctors can prescribe, but pharmaceutical companies cannot advertise, off-label uses of a drug. Statins are approved to treat high levels of low-density lipoprotein (LDL) cholesterol (so-called bad cholesterol). In most cases, they are prescribed for people with high levels of cholesterol or with built-up fatty deposits called plaque in their arteries: those who either have or are at risk for atherosclerotic cardiovascular disease (ASCVD). Several scientific studies found that statins lowered the risk of cardiac events in people with established atherosclerosis. (Events is the neutral term we doctors use for really bad outcomes like heart attacks and death.) However, the benefit was modest and was less in women than in men. Furthermore, despite statin therapy, people with ASCVD still had a high residual risk—that is, they had an increased risk of heart attack and stroke even when their LDL cholesterol was brought to very low levels. There were also studies that showed benefits of statin therapy in people without cardiovascular disease but with elevated levels of LDL cholesterol. This benefit was found only in men, however, not women. In February 2010, based on a study called the JUPITER trial, the FDA expanded the indication for statin use. It now included healthy men ages fifty and older and healthy women ages sixty and older—even those with normal levels of LDL cholesterol—if they have evidence of inflammation in the body (indicated by elevated levels of a substance called high-sensitivity C-reactive protein, or hsCRP, in the bloodstream), plus one other risk factor for developing heart disease, such as smoking or high blood pressure. JUPITER is an acronym for Justification for the Use of Statin in Prevention: An Intervention Trial Evaluating Rosuvastatin. This new indication for rosuvastatin (Crestor), the statin used in the trial, could add six and a half million healthy people—who exhibit no evidence of ASCVD and have normal cholesterol levels—to the number taking statins. The trial recruited close to eighteen thousand people who were free of diagnosed heart disease. Half were treated with rosuvastatin and half received a placebo, or inactive “dummy” pill. The people enrolled in the study were then followed for the occurrence of cardiovascular events such as nonfatal heart attacks, stroke, or death due to cardiac disease, or the need for coronary artery bypass surgery or other procedures to improve blood flow to the heart. The trial was scheduled to last five years but was stopped prematurely “for benefit” after an average follow-up of just under two years. This means that the investigators felt that the benefit of the statin in lowering the risk of cardiovascular events was sufficient to end the trial before it was scheduled to end. So based on the results of this study, the FDA approved wider use of rosuvastatin. The JUPITER trial was paid for by AstraZeneca, the pharmaceutical company that makes Crestor. The principle investigator, Dr. Paul Ridker, developed the blood test that measures hsCRP, and he receives royalties from its use. Both AstraZeneca and Dr. Ridker stand to make a fortune as this new indication for statin use is implemented. But are the results of this study all they are cracked up to be? Might the findings have been different if the JUPITER trial lasted five years, as originally specified? Was the FDA correct in approving this new indication for rosuvastatin? Were there differences in the results for women compared to men? The answers to these questions may shock you and make you question your physician if he or she wants to put you on a statin. In exposing the shoddy science that underlies many of the “guidelines” that doctors are told they must follow in treating their patients, and in exposing the rampant conflicts of interest among the FDA, Big Pharma, medical scientists, medical centers, and professional medical organizations, I risk being declared a pariah in the medical community. But this story must be told. If you or someone you love takes a statin, please read this book. It might just save your life. 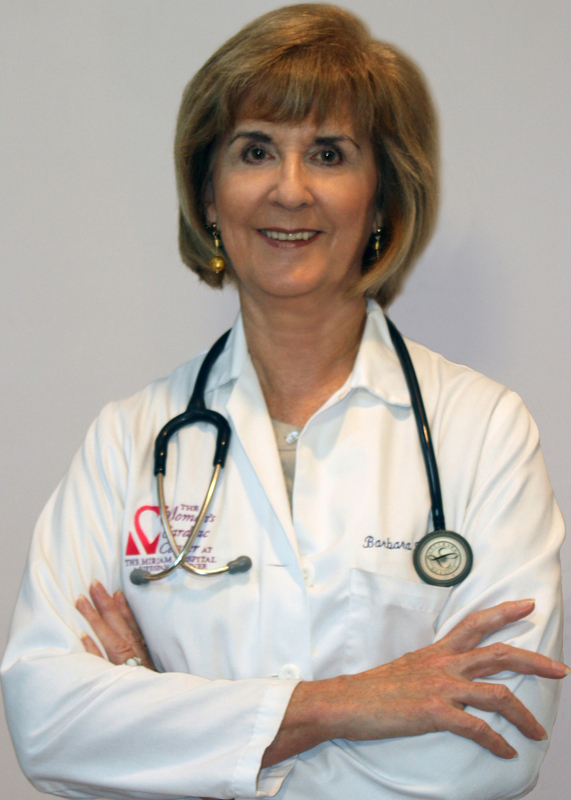 Barbara H. Roberts, M.D., is Director of The Women’s Cardiac Center at the Miriam Hospital in Providence, Rhode Island. She is also an Associate Clinical Professor of Medicine at the Alpert Medical School of Brown University. She spent two years at the National Heart, Lung and Blood Institute of the National Institutes of Health (NIH) where she was involved in the first clinical trial that demonstrated a beneficial effect of lowering cholesterol on the incidence of heart disease.